Products / Spanish Activity Box! Perfect for children who love to explore new places OR for some pre-fun before their very own trip to Spain! 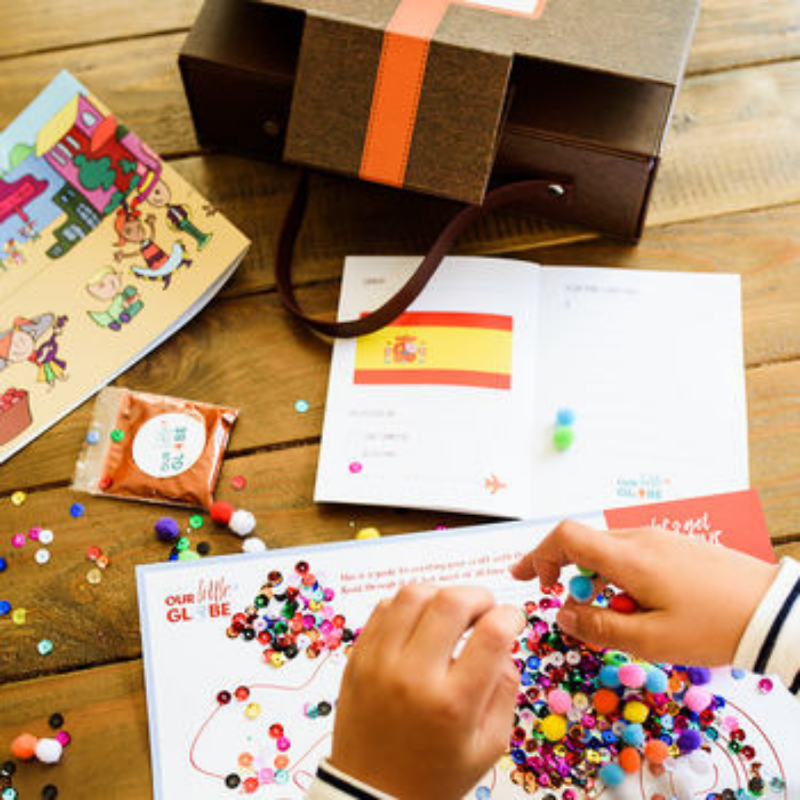 Includes: mini suitcase, pen pal letter, craft activity, recipe cards, spice pouch, Spanish poster, world map, passport and stickers! Boxes are shipped next day. © Copyright Our Little Globe, 2018 All Rights Reserved.